This delicious potato salad may look like traditional North American-style potato salad, but the potatoes have been dressed with slightly spicy huancaína sauce instead of the usual vinegar and mayonnaise. Red pepper, green onions, chopped hard boiled eggs, and bits of crispy bacon give the salad extra color and flavor. 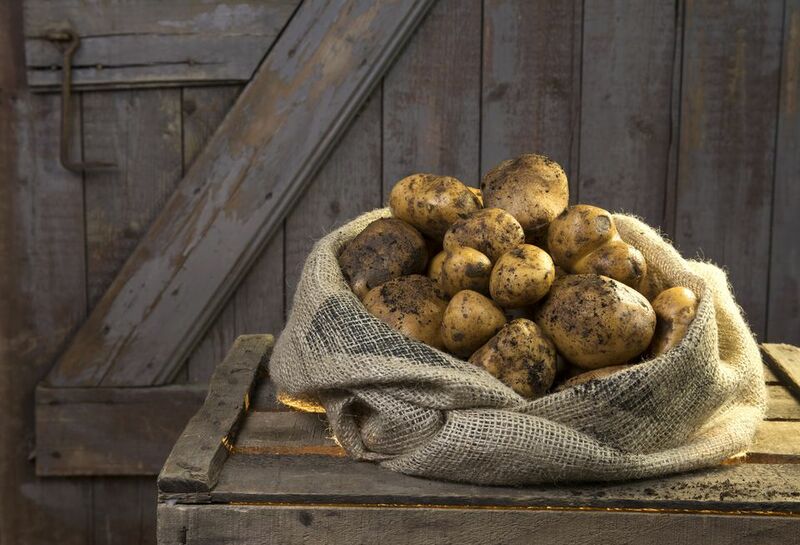 Scrub potatoes and cook them in a large pot of boiling water until tender when pierced with a fork. Drain and cool. Clean aji peppers of their seeds and roughly chop them. Cook the peppers, onions, and garlic in the vegetable oil over medium heat, until everything is soft and the onions are translucent, about 5-7 minutes. Place the cooked onion mixture, the cream cheese, the queso fresco cheese, and four of the saltine crackers in a blender or food processor. Process the mixture until smooth, adding a little bit of the milk at a time, until the mixture has the consistency of a milkshake or a very thick cream. If mixture seems too liquid, thicken it with a few more saltine crackers. Peel and cut the potatoes into bite-size pieces. Peel and chop the hard boiled eggs. Chop the white and green parts of the scallions (reserve the green parts for garnish). Dice the red bell pepper. Gently toss the potatoes with the chopped eggs, the white parts of the scallions, the diced bell pepper, and the cheese sauce. Chill the potato mixture thoroughly, until ready to serve. Sauté the bacon in a skillet until crispy. Drain the bacon slices on paper towels until cool, then crumble the bacon. Just before serving, garnish the potato salad with crumbled bacon and the remaining green onions.